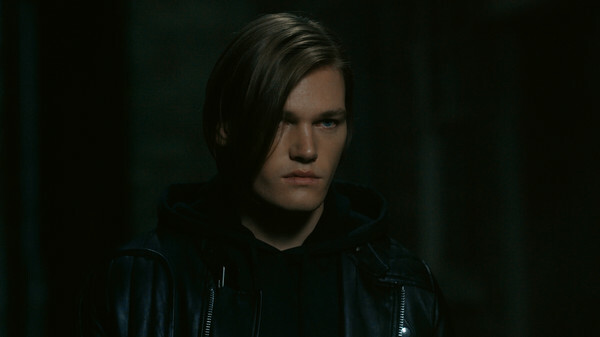 Get to know Square Enix’s The Quiet Man on a deeper level with a behind the scenes look at development provided by the team. This nine minute video highlights what makes this game, centered on Dane (a deaf protagonist), special, as well as the challenges they during development. The video opens with the producer, Kensei Fujinaga, telling the story of his initial experience with PlayStation. He was fifteen when he got really sick and received his first Sony console. Fujinaga described it as a “life saving experience,” which has since colored his belief that games can change the world. There were five other kids in the room with him during his implied hospital stay. One of the kids couldn’t speak, but all of them would still play together as friends. In those moments, Fujinaga realized how powerful communication can be even without words. This theme would go on to become the driving force behind The Quiet Man. Lead Programmer Shan Nivens described The Quiet Man as “an incredibly ambitious cinematic experience, that’s attempting to weave a movie and a game into one experience that seems seamless to the player.” We’ve seen that ambition unfold with each new trailer and livestream. Senior Artist Chris Miscik spoke to the trauma that underscores Dane’s perspective. While the writer, Joe Kelly, defined the game as a “good noir, crime thriller.” Although The Quiet Man has Square Enix behind it, Kelly assured us that there’s “an independent vibe” coursing through the game. The game is approximately three hours long and is designed to be completed in one sitting, said Fujinaga. Although sound design plays a big role in the game, the heart of The Quiet Man is its lack of sound. Naturally, this made sound director, Kennichi Mikoshiba, skeptical at first but he eventually found his footing. As did Imogen Heap, the writer, producer, and performer for the game’s theme song. She saw the inherent sound limitation as a refreshing challenge. It pushed her to empathize with those who are deaf as she tried to put herself into that world. But this game wasn’t entirely made by those outside the deaf and hard of hearing community. That’s where sign language consultant, Danny Gong came in. Gong said The Quiet Man creates a unique challenge for players who aren’t deaf, but are put into that experience. At the same time, Gong emphasized that the deaf community and hard of hearing community is multi-faceted so no single story can fully encompass the experience. Dane is a character who cannot hear, but uses lip read, some [American Sign Language], and [even] gang signs to communicate with those who are closest to him. Just because he’s a person who lost his hearing, it doesn’t make him a saint. He has issues and conflict[s] that he has to deal with himself and is looking for hope, as we all are. Art Director Ashley Welch addressed the challenges of fusing reality and CG. Every decision had to made with careful intention. As Shu Hamada, the game’s live-action director, stated: emotional expressions were crucial to capture through live-action. These moments were all shot in Sofia, Bulgaria, but it was made to look like New York City. 3D scanning helped bridge the gap between live-action cinematics and actual combat, said Lead Environmental Artist Randy Redetzke. To get the fighting just right, Senior Artist Karen Ruiz drew upon her love for fighting movies while conducting additional research. The combat system is meant to be easily accessible to players but also have a lot you can do without requiring you to memorize combos. You can throw enemies, grab enemies, and interact with the environment while you fight. These moments were made possible by people like Animation Director Nick Taylor, who worked with Action Choreographer Tatsuro Koike to make these fight scenes accurate and interesting. The Quiet Man will launch on the PlayStation 4 and PC in Japan on November 1, 2018 with no word on the western release date yet.